Does Your Pool Need a Pool Deck? In your home’s backyard, you might have an oasis with a pool. This is your relaxation space, where you go to get some R&R. However, are you maximizing your use of this oasis? Are you taking advantage of the pool area fully? If you’re not sure, you may be interested in a pool deck. The first priority and purpose of a pool deck is that of safety. 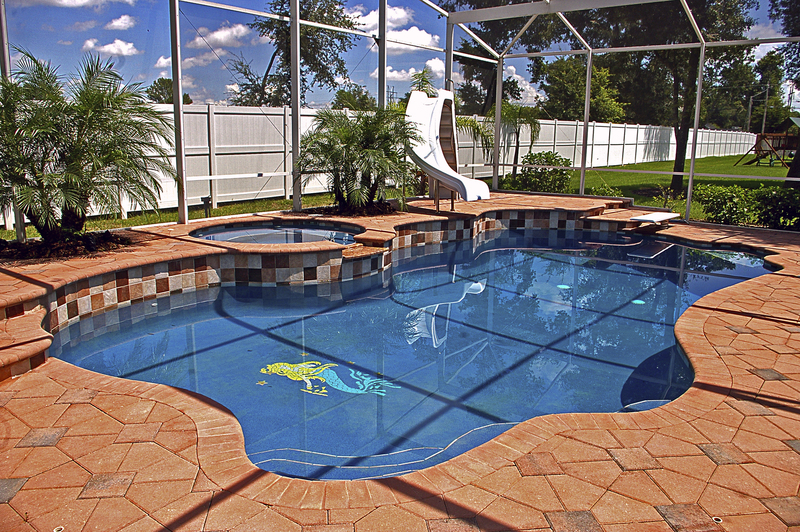 Consistently, pool decks act as a barrier for the clumsy family members or kiddos that want to go near the pool. A deck creates an extra spot of footing, and hopefully, less accidents. On a lighter note, it is also a place to step out of the pool and have a place to dry off. A pool deck serves as an intermediary from the pool and the surrounding grass. On a deck, swimmers can both dry themselves off and prevent and water from being tracked inside the house. Let’s face it, a pool deck allows the swimmer a place to dry off without doing that within a clean home. Does my pool need an added level of safety? Do I need a place to dry off before going inside my home? Do I want a place to tan in the sun without having to lay a towel down in the grass? If you answered yes to any of these, it’s probably that time to invest in a pool deck. Day in and day out, the Blooms Landcare team installs pool decks around pool perimeters. We stress their importance, their value, and all their uses.